If you mention King Edward VIII, later Prince Edward, Duke of Windsor in conversation, sadly the only response one is likely to get is; ‘Oh, the guy who married the Wallis Simpson woman.’ The fact of the matter is that this man’s legacy is overshadowed by his practically small, but consequentially huge decision to abdicate, thus giving up the crown in order to marry the woman he loved. Precious little is known of his youth or his other influences. Such was the consternation of the British establishment, and so mighty was their power in the early part of the 20th century, that later generations of British people have known him for little more than the man who wanted to marry a divorcee. It is a great shame that a man of his style and influence should be defined by a private and personal choice of companionship. For his style was renowned, and his influence considerable. Take collars and neck ties for instance. Words like Prince of Wales collar, and Windsor are bandied around by those with Jermyn Street knowledge, but not all are aware that the Prince of Wales collar, now an extremely popular modern shirt collar, was initially popularised in the 1920s and 30s by the then Prince of Wales, Edward. At the time, various collars were worn by the nattily dressed men-about-town, but it was this royal gentleman who influenced males and females alike in his choice of tailored clothing to follow his lead. He wore his ties in a particular way, not as it happens in the Windsor knot, but in a very wide version of the four-in-hand; he succeeded in doing this by ordering neck ties in thick silks. This too was copied by men of the day. He was a very handsome man, and as a royal and heir to the throne, consequently extremely desirable. Women would desire him, and men would wish to be more like him. The fact that he had sartorial panache was really the icing on the proverbial cake. I have been told by those of the generation that some people would look at photographs of the Prince in newspapers and society magazines and would chase around London trying to assemble the outfits to wear themselves. If one must make comparisons, the influence David Beckham has over the young males of today goes some way towards illustrating the influence of this dandy Prince. The Prince of Wales check is a pattern widely available for both men and women today. Frequently reproduced in black and white, it began as a hunting check made famous by Prince Edwards grandfather, King Edward VII, another style leader of his day when he was Prince of Wales. However, it is contended that it was given its title when it was worn with frightening frequency by the Duke of Windsor. Considering the metropolitan context in which the Duke wore the pattern; double breasted suits in both warmer and colder weather, it is more likely that he is responsible for the upgrade of the pattern from grouse-moor two pieces to elegant lounge suits. Therefore, in my opinion the title of ‘Prince of Wales check’ is undoubtedly more connected with him. Although enduring style is surely the bulk of his testament, the Prince is responsible for some fashionable choices which have not endured. In the 1920s he was largely responsible for the popularization of the plus-four trouser. A trouser now traditionally associated with golfers, and named for the fact they are cut four inches below the knee. 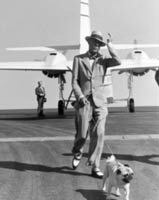 Although he did indeed contribute with throw-away fashions such as this, the Duke of Windsor’s real gift to the twentieth century in terms of style was his choice of elegant daily attire. Never too forced or contrived, the Duke of Windsor remains a beacon of taste and urbanity for the modern man.